Parkside is a family owned, Queensland based Hardwood Sawmilling company which prides themselves in state of the art production of decorative, structural and joinery hardwood products. Parkside is the largest user of the Queensland Spotted Gum species, while also sawmilling a range of Ironbark, Forest Red and Queensland Light coloured hardwood species. The Parkside business consists of four green sawmills and a large technologically advanced hardwood dry mill which specialises in producing quality finished products. Take this link for more information on the dry mill. The primary hardwood products Parkside produce are set into two key categories - Green of Sawn Structural (GOS), and Dried finished products which include Decking, Flooring, Joinery, Shiplap or Chamferboard and Engineered Hardwood products. Parkside Timber is a leading producer of quality Queensland Hardwood products. Over Parkside Timber’s 60 year history, we have prided ourselves on producing on the best quality products fashioned out of Queensland grown Hardwood resource. In the last few years, Parkside have undergone major technological improvements to ensure their hardwood production is state of the art, creating a dried hardwood product of the highest of quality. Parkside produces a wide variety of Dried hardwood products. These products include drying to a seasoned equilibrium of moisture content (EMC) of 18%, structural integrity products dried to what is commonly referred to as Kiln Dried EMC around 13% and also internal joinery requirements as low as 8-9% EMC. Since 1953, Parkside Timber has gained an outstanding reputation for high quality Green Hardwood Products. Unseasoned or Green off Sawn (GOS) products produced by Parkside Timber are produced in some of the best managed and technologically sound green sawmills, ensuring that customer satisfaction is a priority. Parkside Timber uses Queensland Hardwoods which are renowned for their durability, strength and exceptional quality, so when customers order Parkside Green Hardwood products they are confident only the best timber will go into their projects. Parkside are the largest producer of Queensland Spotted Gum hardwood (Corymbia citriodora subsp. Citriodora), however there are available a number of other hardwood species available from Parkside including Grey, and Red Ironbark, Yellow Stringeybark, and a variety of rare light coloured species. If you would like to read more on Queensland Spotted Gum and its exceptional reputation, please click here for the Queensland Government’s take on Spotted Gum’s quality and uses. 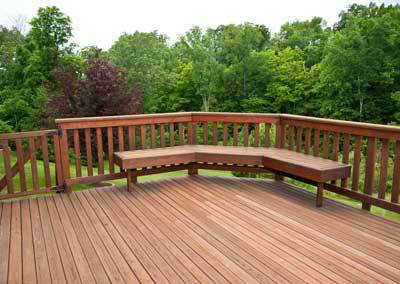 Unseasoned Hardwood products have been used for a variety of applications for hundreds of years. Unseasoned Hardwood, and especially Queensland Unseasoned Hardwood, is one of the most durable and environmentally friendly building products available. Some of the modern day uses for the Parkside Green Hardwood include: Commercial decking applications, weather exposed bearers and joists, scantling, a wide range of board sizes, and many external structural applications that require naturally durable members. If you would like more information on Parkside Timber products, please fill in this form and will get back to you as soon as possible.